Wherever you are coming from, if you are using public transport, you need to find your way to either Gotemba station or to Mishima station. From both of these railways stations the hotel runs a free-of charge shuttle bus service. 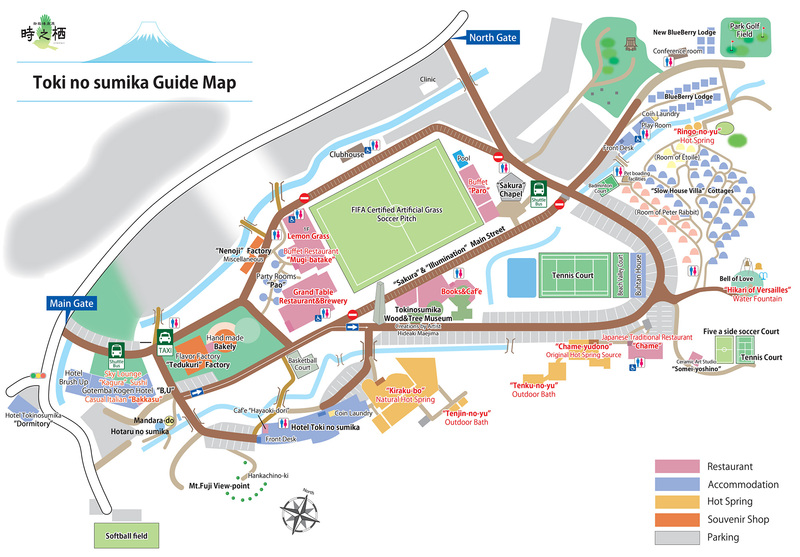 If you are driving then the target destination is th Gotemba Kogen Resort, confusingly also known as 'Toki no Sumika'. Please click here getting there to find the information from the hotel website on getting there. For those people coming from Haneda airport, the choice will be to either take the highway bus to Gotemba or the train to Mishima. Which way you choose will probably depend upon the time of arrival and how that fits in with the highway bus timetable If it looks like you will have to wait two hours for the next bus, then you will obviously want to get the train. In which case you will take the Keihin Express to Shinagawa and then the shinkansen from Shinagawa to Mishima. The Tourist Information office in the Haneda arrivals lounge has a facility to sell train tickets and they are likely to have English speaking staff.